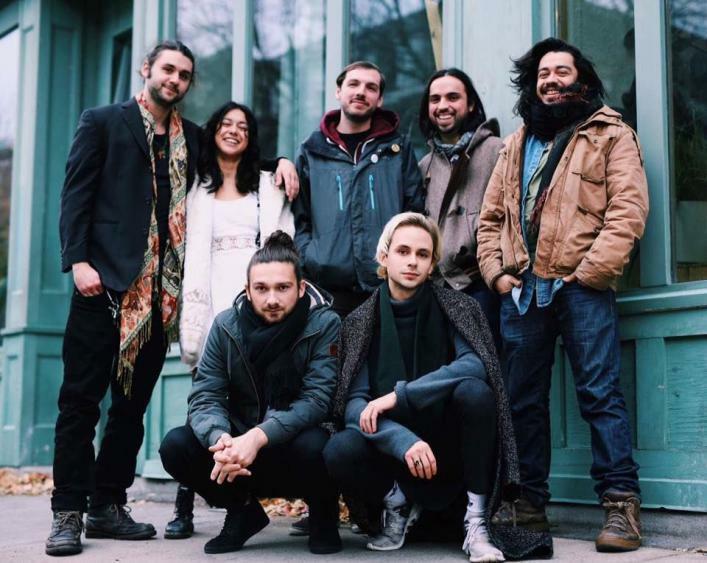 El Son Sonó is a group founded in Montreal in 2017 composed of 7 musicians from several musical styles, lead by the miscegenation of singers and their roots from Peru. Being brother and sister Elodie and Tito grew up in Quebec with their father who shares the culture of South America. Over time they have become more and more perfect in the musical spirit of the Peruvian waltzes with rumba crossing towards cumbia, festejo, salsa, jazz. The group is created for the occasion of Latin Sundays at the Montreal staircase in March 2017 and has perfected in the streets, festivals, and houses of culture. El Son Son is a way of traveling in Latin America thanks to their dancing and catchy rhythms!